Just because I live in Sweden, doesn’t mean that I don’t keep up with things happening in Asheville. Especially when it comes to beer. This weekend Asheville Beer Week begins (yes, I wish I could be there!)! It’s a week-long celebration of all things beer in the city with 16 microbreweries. A week of craft beer, crazy brews, delicious food, music and opportunities to learn more about what all the hype is with this craft beer scene that’s sweeping the nation. Even the world, as craft beer is growing here in Sweden as well. 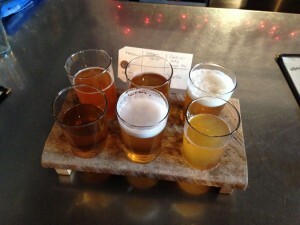 Of course, the week highlights the amazing breweries and brewpubs that Ashevillians call home. In addition to tastings and events all over Asheville (as if that’s not amazing enough, right?! ), you also have the opportunity to hear stories and discover the passion that drives the community-focused craft beer culture. May I be so bold as to suggest one event that you will not want to miss? 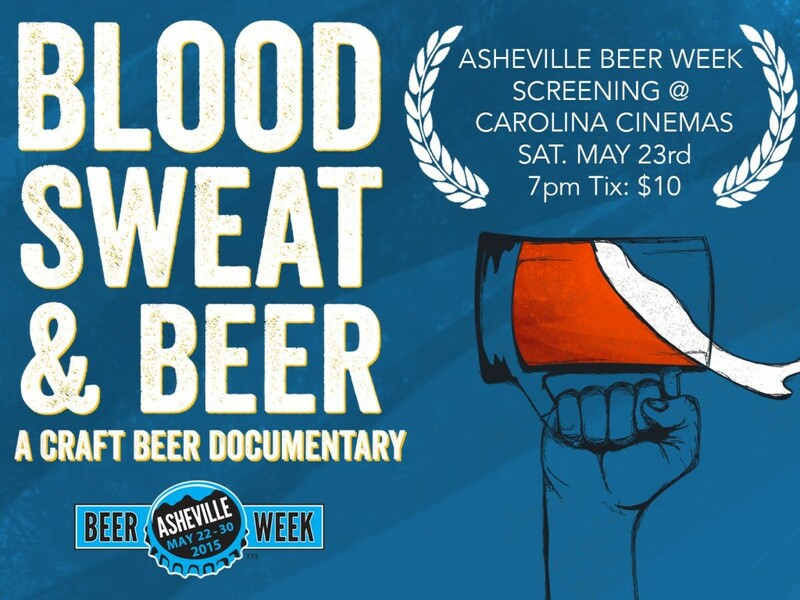 Tomorrow night at Carolina Cinemas, Asheville Beer Week is hosting an exclusive screening of the new feature documentary Blood, Sweat, and Beer at the Carolina Cinemas at 7pm (Saturday, May 23rd). the award-winning documentary explores the explosive growth of the craft beer industry and the inspiring, heart-wrenching, motivational journeys of two startup breweries. I had the honor and joy of having a private screening of the documentary (even from all the way in Sweden! ), and let me tell you I laughed, cried, wrung my hands with nervousness, and was inspired beyond belief. Not to mention I was super thirsty for a cold craft beer throughout the whole movie. But, seeing as it was 9am when I watched it, I sipped on my coffee instead. Beer lovers, you will want to see this documentary. Blood, Sweat, and Beer not only shares some great information about the exponential growth of craft beer in the United States over the past 10 years, it also touches on other issues facing the american craft beer community, including interesting facts about gender and ethic inequality. I was scribbling down fascinating statistics throughout the entire film. For instance, of the top 50 craft breweries in the United States, only 7 of them have female brewers! What’s up girls? Craft beer is not synonymous to bearded white guys in trucker hats! Side note: my wife + I plan to bust through that stereotype as we have started our own home brewing endeavor, and are already planning our 3rd batch. Interestingly, out of 2700 breweries in the United States, 98% of them are small, independent, craft breweries, with 1700 new breweries in planning stages. How freaking amazing is that? So, what is it about this craft beer culture that makes it so popular right now? Why are people craving craft beer, and why are people (like me and Lina) so exited about brewing our own beer? The documentary follows the stories of two different small breweries, both startups. I was completely sucked into both stories, rooting for both of the breweries and their owners. One owner finds himself caught in the middle of an ugly, big business trademark trial (something very familiar to the fight facing Western North Carolina’s own Innovation Brewing). It’s as if big companies are picking on smaller breweries… perhaps because they are intimidated by the phenomenal growth of small, craft breweries? In any case, the passion and dedication and sacrifice of the owner in the documentary inspired me greatly. A man with a dream, who refuses to give up, because of his love for what he does. 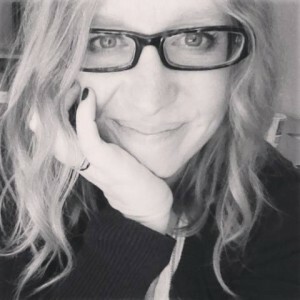 Seeing the story of someone believe so much in what they love, in what they do, in who they are… wow. The other startup brewery featured picks a sad, rundown, forgotten steel town in western Pennsylvania as its home. Riddled with violence, poverty, and abandoned houses and buildings, the city has all but disappeared. But, instead of seeing all of the hopelessness and destitution that in this city which has declined in every way possible for the past 40 years, two young men decide to believe in the beauty and opportunity that exist there. They practically take it on themselves to revitalize the town, sacrificing and working for three years to make their dream a reality. To make an impact on a once-forgotten community. If anything, this amazing documentary, Blood, Sweat, and Beer, will show you that the love of craft beer goes so much deeper than just drinking a pint of something tasty. it is so much more than sitting on a bar stool and chatting with your friend. (which is awesome and fun). but, deep down, the love of craft beer, i believe, is a craving and a desire to connect, to create, and to be authentic. I am pretty certain that Lina and I are finding ourselves drawn to the craft beer community, as more than just consumers, because of those same reasons. After seeing the emotional and inspiring stories of two small startup breweries in Blood, Sweat, and Beer, dare I say that we just might be one of those little breweries, too, one day. Sharing our own story about why we create and brew beer. As Blood, Sweat, and Beer so beautifully shows us, craft beer is all about passion and community. So, Asheville people, gather round the screen this Saturday night at Carolina Cinemas and find yourself inspired by Blood, Sweat, and Beer. I guarantee that you will be! and then, as the week goes on, find and share stories of your own. celebrate with fellow craft beer lovers the amazing passion and creativity and community that drives this thriving culture in asheville. Learn the histories of Asheville’s local breweries, listen to people tell their own stories, and share some time together over a cold, local, handcrafted brew. Thanks to Alexis and Chip, the directors of Blood, Sweat, and Beer for contacting me and giving me the honor of screening and writing about such an informative and exciting documentary. See? It really is all about passion + community!